As far back as we can look, the use of fresh herbs have been prevalent in the world of mixed drinks…So lets take influence from the bartenders that once ruled the world of mixology, raid your herb garden that too often gets neglected, and start mixing. I wouldn’t call our herb garden “neglected” as it’s used often and well, though I admit it’s usually overgrown and full of weeds. Despite that fact, it provides a steady supply of rosemary, thyme, oregano, mint, tarragon, and sage (not to mention catnip). There’s also a bunch of invasive garlic chives (they can’t be stopped!). Shake with ice and strain into a chilled coupe or cocktail glass. When it’s combined with the musky mellowness of a homemade bay-infused honey syrup, the peach brandy becomes even more peachy, tasting older than it actually is. The bitters provide a nice caramel/molasses/cinnamon accent that rounds out the drink and brings it closer to our honey-thyme glazed grilled peaches that inspired the drink in the first place. As it warms, the drink becomes sweeter, so feel free to cut the syrup back to 1/2 oz. Should you wish to experiment further, try evenly splitting the sweet components between a peach liqueur (like Leopold Bros. Peach-Flavored Whiskey) and bay-honey syrup. Thyme-sage-honey syrup also works well, but results in a more woody, piney drink. Oh, the name? That would be Rome, Georgia — not Rome, Italy. The phrase comes from a Gregg Allman song, “Multicolored Lady.” Given the bay laurel’s association with Rome — think laurel wreaths and Caesar — and the Allman Brothers’ association with Georgia — think Macon, Capricorn Records, and “Eat A Peach” — I figured the name was a natural fit. Oh, and yes, a peach brandy! From Georgia! Finally! It’s a great product from Ivy Mountain Distillery in Mt. Airy, up in the North Georgia mountains, and, not being aged for long, it’s much like a peach eau de vie…a few more years in the barrel, and they’ll have a wonderful peach brandy. I’ve been playing around with it quite a bit lately, and I’m betting that it will make a mighty fine Georgia Mint Julep. Tastes remarkably like a sweetened apple cider! 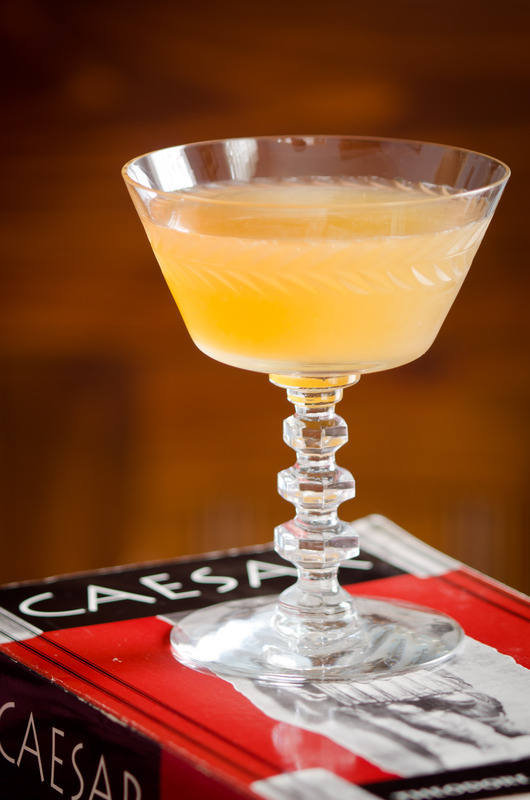 Here the apricot liqueur lends an additional dose of fruitiness and melds the calvados, syrup, and lemon together — I often employ it as a kind of “binder” for flavors that almost, but not quite, fit together. 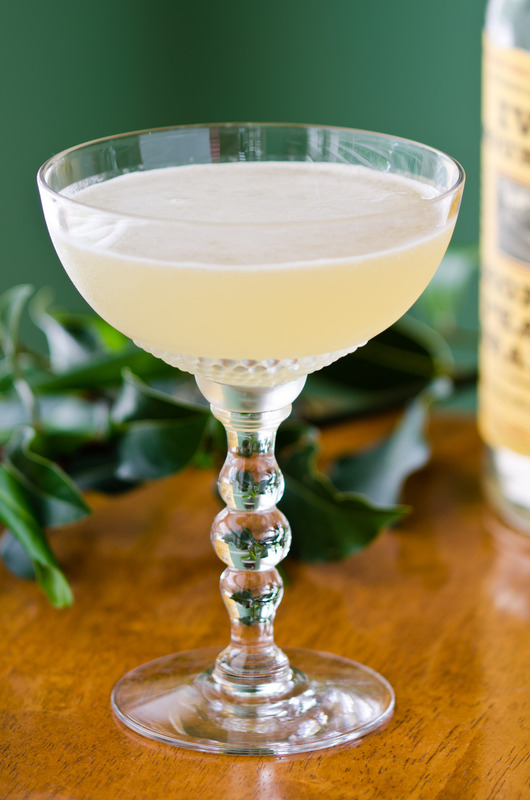 You can use American apple brandy in the drink, but it’s a bit more straightforward, lacking that complex Calvados muskiness that works so well with the bay laurel. Make several small tears along each bay leaf and clap it between your hands — this will release more of the oils and flavor. 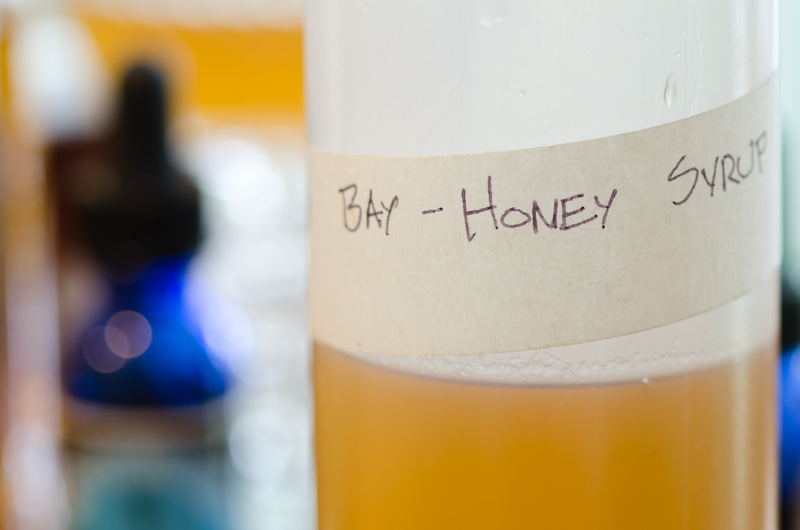 Combine the honey, water, and bay in a small saucepan over medium-high heat. As soon as the mixture boils, turn off the heat, cover the pan, and allow it to cool to room temperature. Strain, bottle, and refrigerate. Crush or break up the cinnamon sticks and combine with the grain alcohol in an airtight glass jar. Let the mixture infuse for one week, then strain out the solids and bottle. Adapted from Jeffrey Morgenthaler’s Recipe. 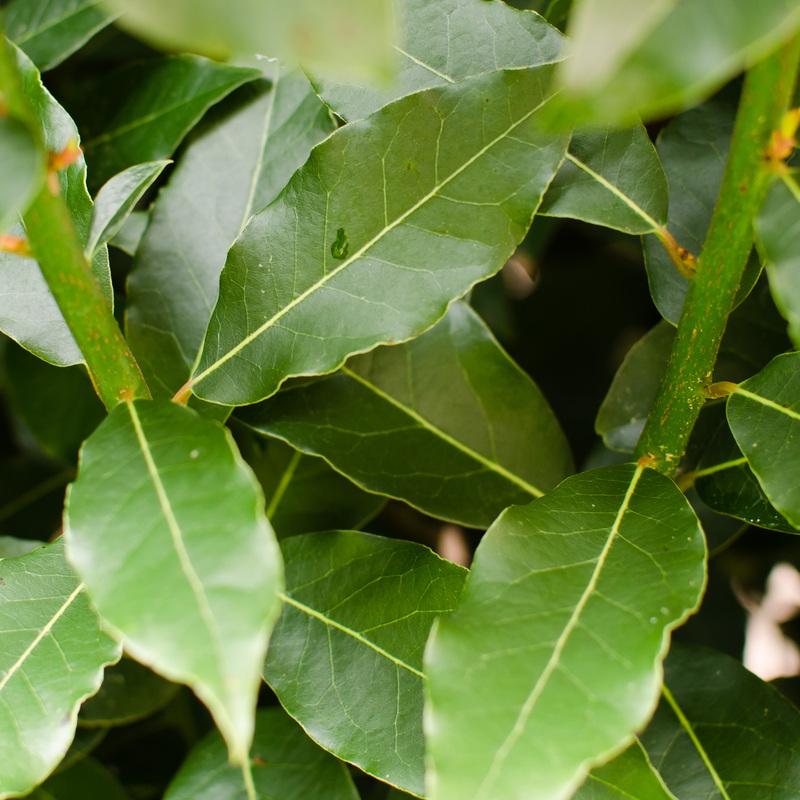 If you’re unfamiliar with or curious about bay leaves, they have a subtle, piney, resin-like scent and taste. They’re sweeter and mellower than, say, rosemary, and not as funky as sage, with a hint of lemon peel. Though bay leaves can be dried and stored for a long time, fresh leaves have a livelier flavor, and I always prefer them to the dried variety. Regarding the cinnamon tincture, you’re essentially making cinnamon vodka or a single-ingredient batch of bitters. I made up my jar of tincture before serving the Autumn Leaves (by Jeffrey Morgenthaler) at our Fall cocktail party, and it works remarkably well in any drink involving apples or apple brandy. I tried to make some laurel mojitos, but could extract the flavors, will try the syrup! A syrup or an infusion is probably the way to go, as bay leaves impart a very subtle flavor and might disappear when simply shaken or muddled (I actually tried muddling first, and then decided that, as you mention, it didn’t extract the flavors well enough). Both of these sound delicious. 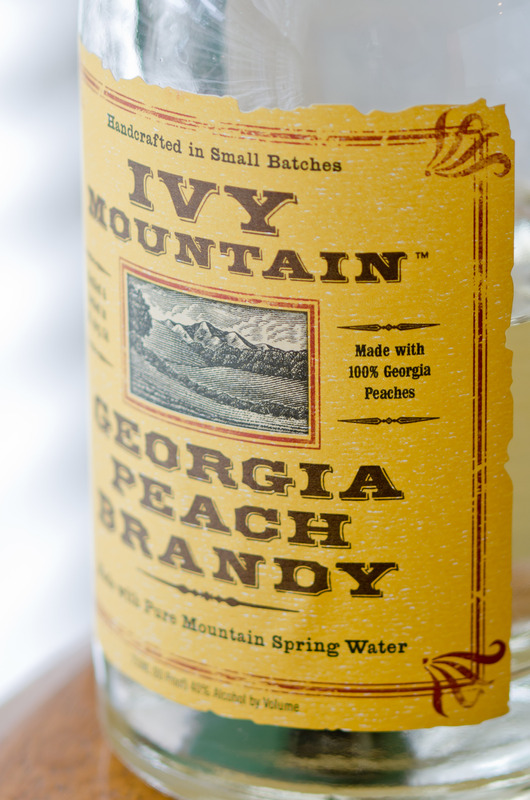 I’ll have to seek out a “real” peach brandy like Ivy Mt. Cheers. I’d love to taste some aged Ivy Mountain, which would involve aging it myself or waiting a few years. I only know of three aged peach brandies on the market: Dutch’s Spirits (New York), Peach Street (Colorado), and Kuchan (California). The first two are available at http://www.drinkupny.com/ though I haven’t tried any of the three. This entry was posted on May 19, 2013 by IJ Lauer in Apple Brandy, Bittercube Bitters, brandy, Drink Recipe, Honey Syrup, Infusions, Ingredient Recipe, Lemon Juice, Mixology Monday, Original Drinks, Syrups & Flavorings and tagged bay leaf, calvados, cocktail, honey, laurel, lemon, mixology monday, peach brandy, recipe, syrup.